We've spent 5+ years building the industry's most extensive and diverse real-time, searchable sponsorship deal database. With well over 30,000 confirmed sponsorship deals, SponsorPitch helps members find new leads, run trend analysis, review competitive activity, receive targeted recommendations, research companies and win new business with qualified leads -- in record time. 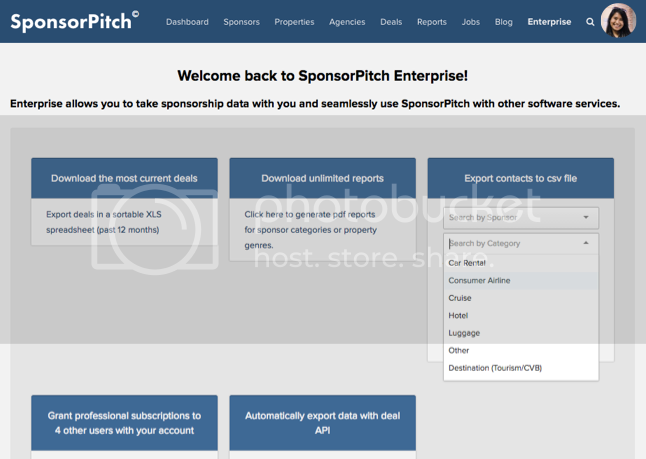 Now, we're excited to let you know about some new features that will make it even easier for you to capitalize on SponsorPitch's actionable intelligence. 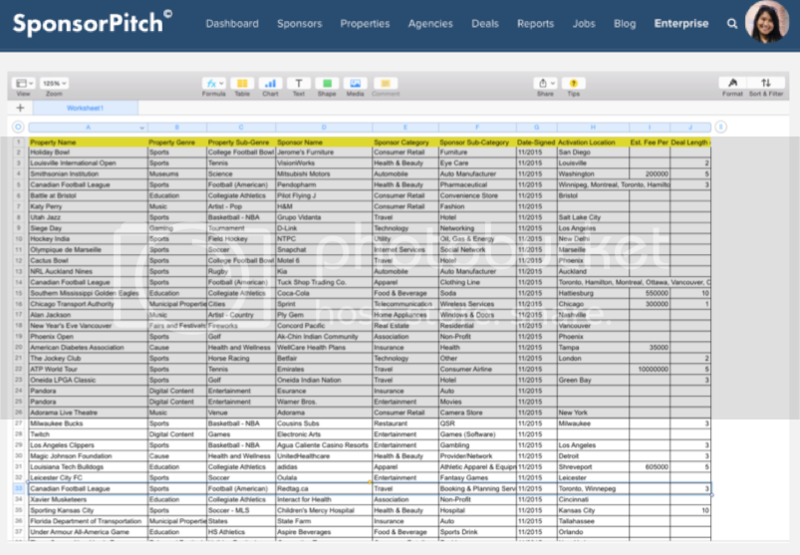 Members can now instantly export SponsorPitch's deal database including thousands of sponsorship deals to a single easily sortable, searchable and shareable excel file. With this new feature, you can export the very latest deal data as often as you like and run deep analysis across our extensive data set of sponsorship deals in familiar excel format. Many agencies, in particular, have asked for this feature and we're pleased to now be able to offer it. In addition, we've launched bulk contact exports to CSV files, which work seamless with most major CRM software. So say you want to export decision makers that influence deals in the consumer airline category. By selecting the category from the drop down, it will automatically add these new contacts to your personal CSV file of leads. Finally, we're putting the finishing touches on the sponsorship industry's first real-time API (application program interface) so your IT team can automatically pull, sort and share critical sponsorship deal information in real-time with your whole team. This will be added to Enterprise in the next two weeks. Ready to get started with these new features? Sign-up for an enterprise subscription by the end of the year for best pricing or contact us for more details at support@sponsorpitch.com. With these new features and more that are on the way we look forward to helping you exceed your sponsorship goals in 2016!